Our 16 × 20 Picture Frame is a great size frame because you can make it a highlight piece on your wall, or part of a mixture with other frames to form a collage on your wall. Our 16 × 20 frames include an off white mat for an 11×14 image. This option provides just over 2” of matting on each side of your image. 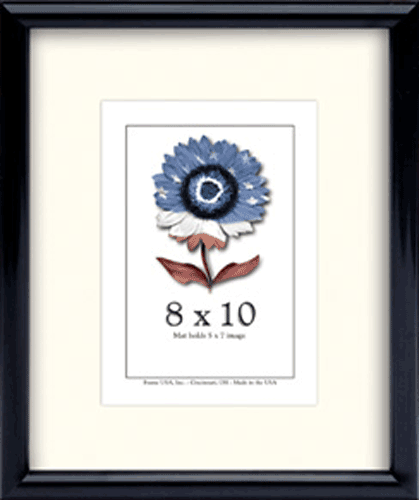 This is also a perfect size to go with when using wider picture frames. This is the quintessential frame size for hanging advertisements in a lobby or venue, or just about any metropolitan area where people can see the image and read the words without having to be directly in front of the poster. 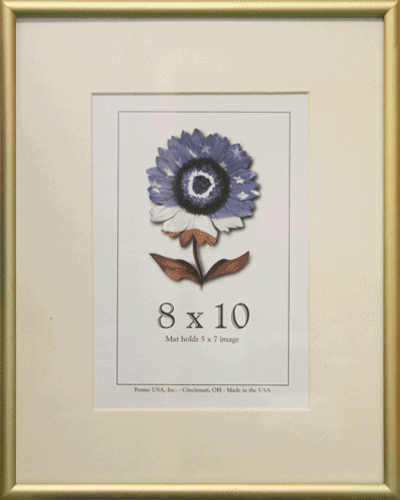 This is the most common poster frame size (average poster size) and generally the size that standard posters are made. 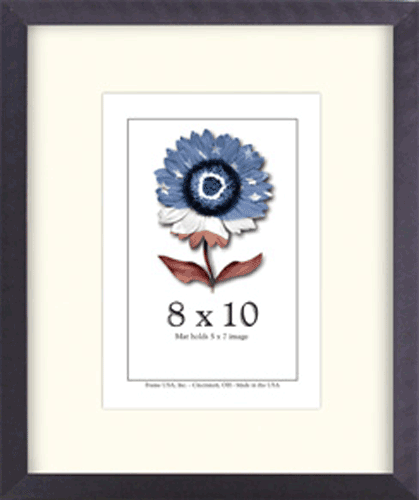 This is the ideal size for concert and novelty posters to hang around your room or house. Therefore if you are looking to frame a poster for a dorm room, your office or house, or to give as a gift, this is the perfect picture frame size for you. For those with the “go big or go home” mindset, you may want to aim for this size or larger. If you have a 24×36 or larger poster, we definitely recommend a frame to keep your art scratch-free and to highlight the print as a whole. 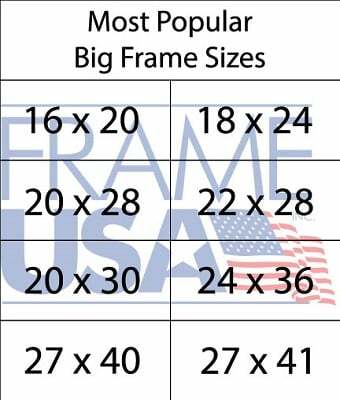 This is the standard movie poster frame size for typical movie posters (occasionally you’ll find them sized 27 x 41) making it perfect for officially licensed movie posters. 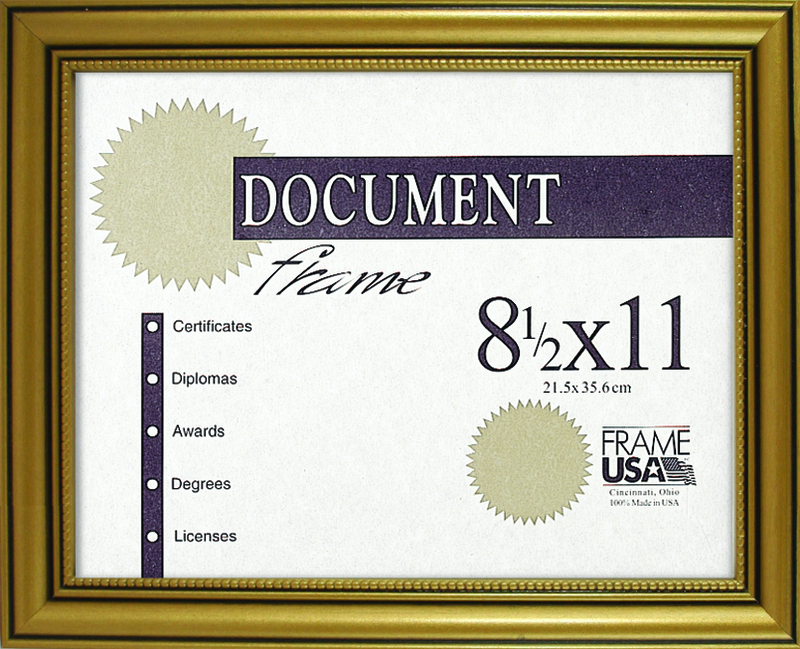 We hope this article has provided you with all of the information you may need when ordering our picture frames. 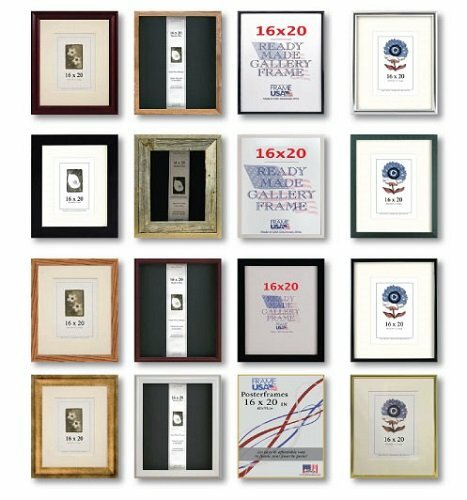 Remember, if you need any help with your poster frames, please call 800.577.5920 or click here if you have custom framing needs. 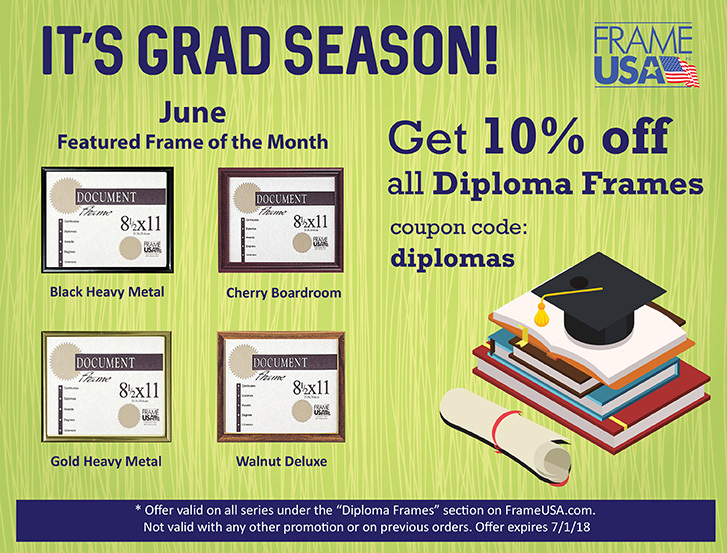 Enjoy, and thanks for shopping with Frame USA! 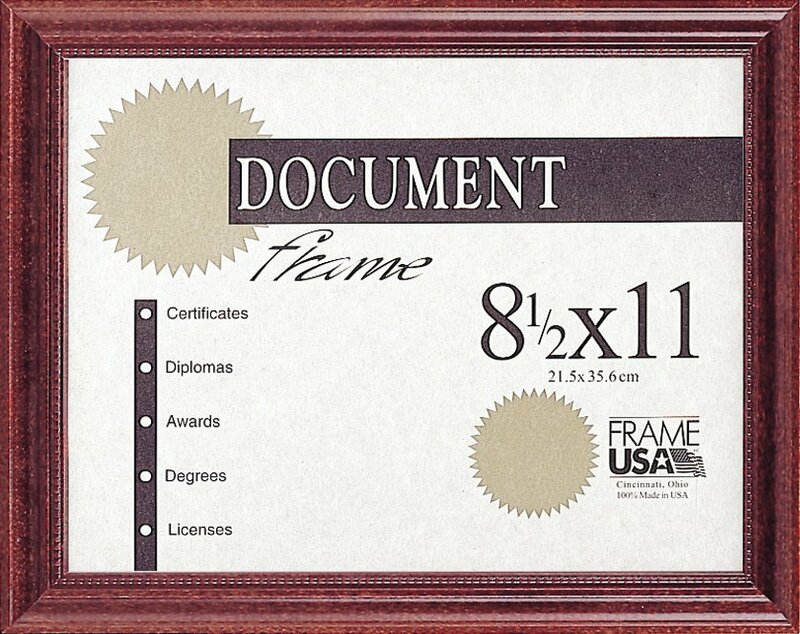 Frame USA has been in the art and framed pictures business for 30 years and counting. We’ve grown to work with a wide variety of companies including small businesses and individuals across the United States. 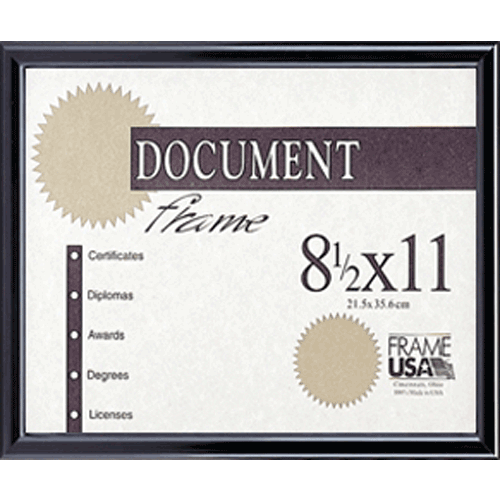 We have customers who need thousands of framed pictures and those who need 10. We have “the regulars” and the “first-timers”. Whether you’re looking for a thousand-piece plaque order or a simple custom framed pictures job, we make it happen – any style, any size, any time. 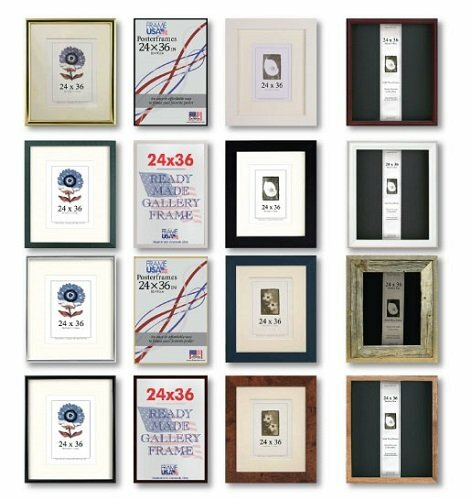 Our frames are broken down into four categories to make it simple for our customers: Wood Frames, Metal Frames, Poster Frames & Specialty Frames. 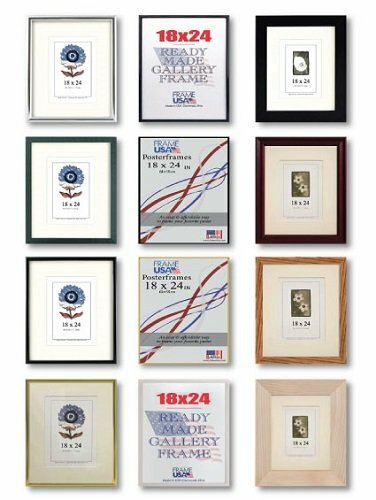 Our wood picture frames come in many different ready made sizes and styles — All of which are completely made in America! We take pride in both our affordable prices and high-quality standards. We also offer custom sizes for those special projects. 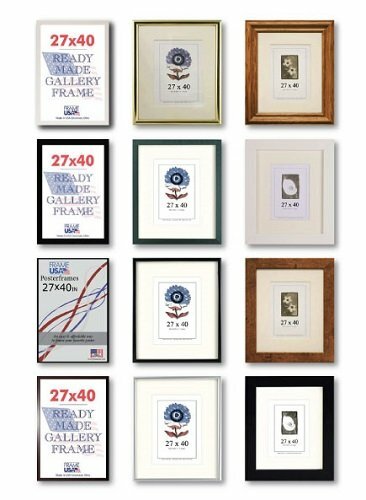 Explore our wide variety of wall frames guaranteed to liven up any work of art or interior decor. 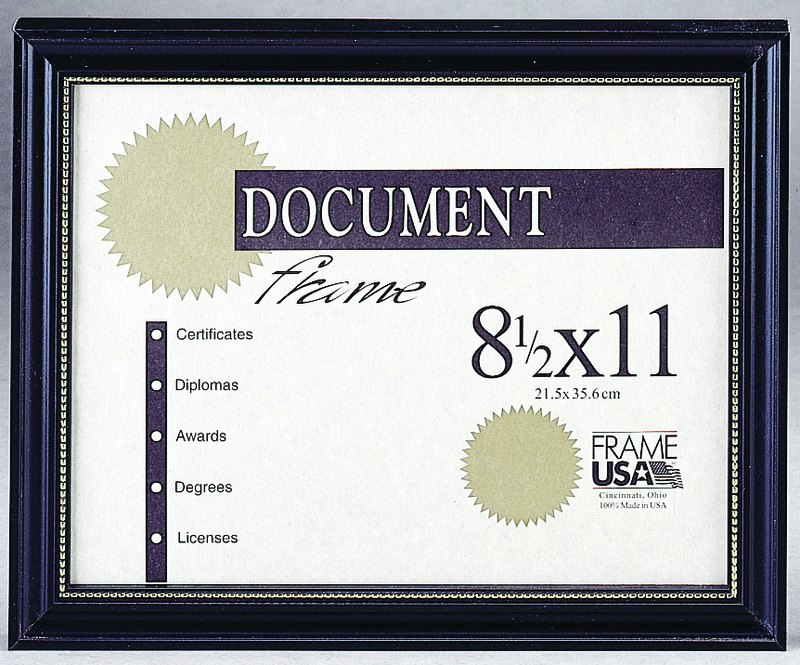 Our Metal I and Metal II Picture Frames are known for their superior quality and affordability. 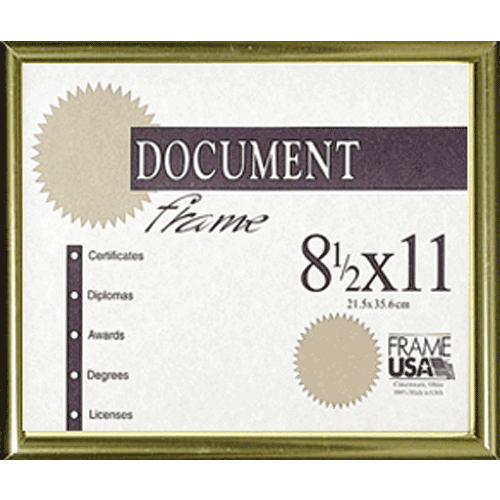 For a bolder and more aggressive statement, we offer our Heavy Metal Picture Frames. 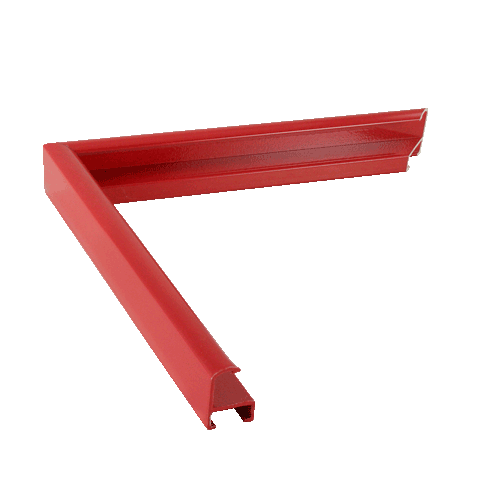 These frames are thicker than our standard metal frames and finished off with a wide rounded edge. 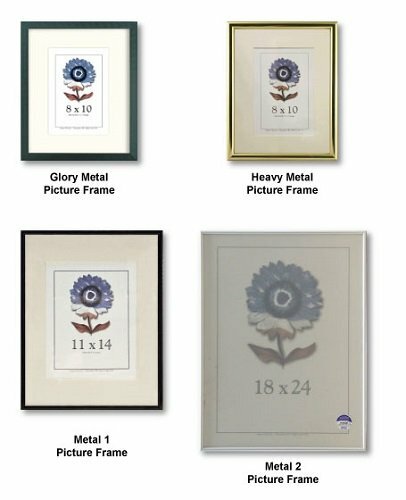 We offer several black metal picture frame options throughout our series as well as gold, silver and bronze picture frames. 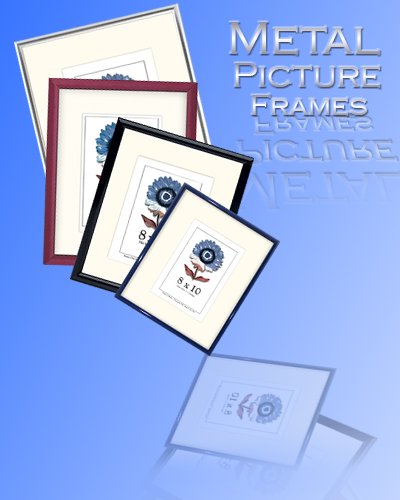 Our Poster Frames are available in a wide variety of colors. 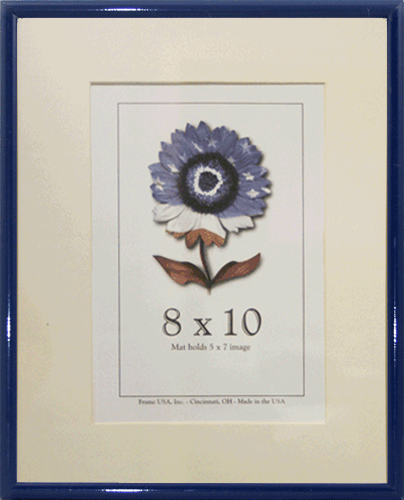 These posterframes are made from the highest quality materials for lasting beauty. They come fully assembled and shrink wrapped with mitered corners, a clear acrylic plastic sheet front and a hanging system for vertical or horizontal display. 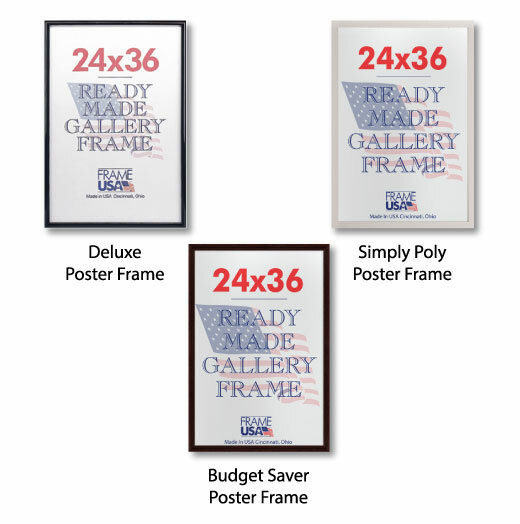 Poster frames are available in a wide variety of poster frame sizes and with three types of frame backing boards: featured in corrugated, hardboard or foamcore backing. A Shadow Box is an enclosed, glass front picture frame that can hold and display items that have value or particular meaning for an individual. Create your own custom Shadowbox with 3 series of shadow box frame: Elite, Showcase, and Boxer. 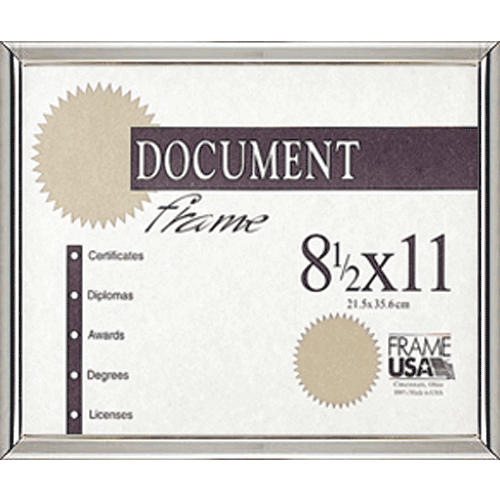 These Shadow Boxes are deeper than our standard frames and designed to store and display you precious mementos. Picture frames can be made out of a wide variety of materials, but the two most popular types of frames are Wood Picture Frames and Metal Picture Frames. Wood and metal are very easy to find and on top of that they are easy to work with when you’re looking to customize a frame, making these frames highly sought-after. Although wood and metal picture frames are both versatile and each can suite just about any picture framing need you could encounter, they do have a few subtle differences. Wood is a classic material for crafting picture frames and has been in use for centuries due to its abundance and how easy it is to use. Wood frames can be painted or stained in nearly every color imaginable, which provides you with plenty of variety when trying to frame art or compliment the aesthetic of a room. Wooden picture frames are perfectly paired with tradition style artwork and are a good place to start for any kind of picture framing job. On the other hand, metal picture frames provide a more modern look and feel than their wooden counterparts. 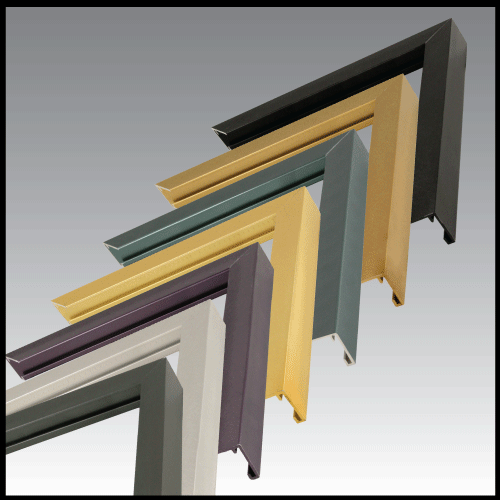 While metal frames don’t have as wide a spectrum of colors to choose from (as opposed to wood picture frames) they make up for it with their durability. Banging or dropping a wood frame can cause chips in the paint or dents. Not only will a metal picture frame resist a few bumps, but if a side does in fact end up damaged it can be unattached and replaced. Our wooden picture frames are a top choice and are crafted from real wood, MDF, eco-friendly wood composite or laminate. 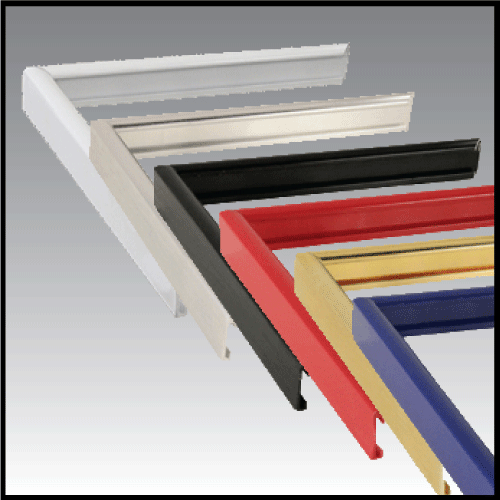 Additionally, the metal frames we produce are durable and stylish, made from extruded aluminum, these frames can easily make the right statement when placed in any interior. At the end of the day Metal and wood picture frames are both excellent choices when framing artwork. Sometimes a project comes up that requires you to get a lot of frames. Maybe a school arts and crafts day or an awards ceremony. When you have to buy for a large group, getting brand new frames can be a hefty expense. Sometimes you might need 50 to a hundred to even 300 picture frames for an event. If this is employee run or a charity or a PTA your budget is going to be limited and you need to stretch your spending dollar as far as you can. A great solution for this is buying closeouts from Frame Closeouts. 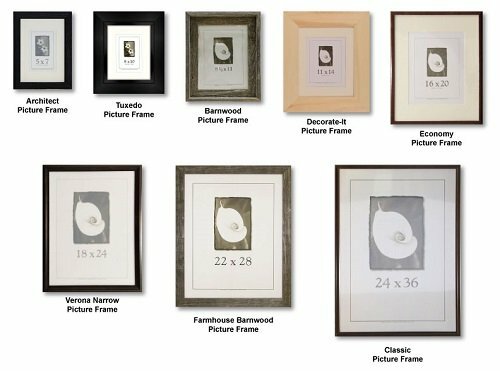 Framecloseouts.com offers a huge variety of wood picture frames, metal picture frames, and poster frames at very low prices. 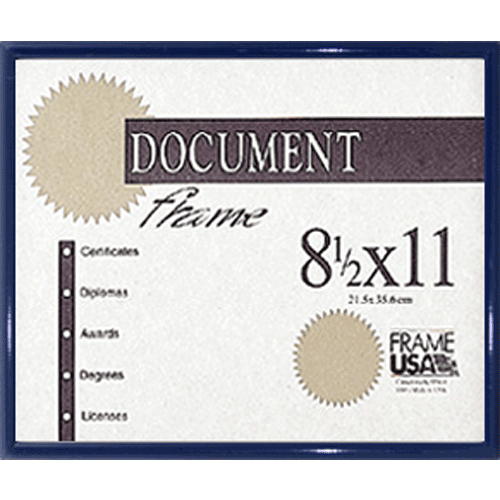 There are over 30 different styles and sizes and thousands of closeout frames to choose. from. These are frames that have been returned to us in great condition (maybe someone ordered the wrong color) or that we made too many of. Most of them are sorted only by size. This is because we offer a 24 hour turnaround on getting closeouts shipped out, from the time you place your order. This helps ensure they can be pulled fast. Our regular wood closeouts, however, are sorted by size and color. So if you need 50 gold 11×17 frames, you can choose them. Because they are sorted this way, when you choose closeouts, there’s no way to know exactly which style you will be receiving. This makes them ideal for gifts where they don’t need to match each other, where each person is getting something unique. 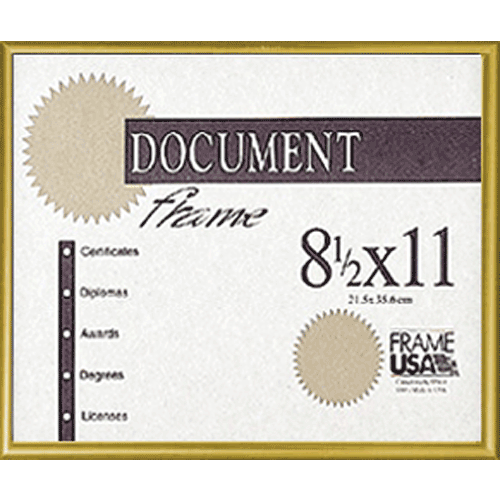 So when you need a lot of high quality frames and cheap picture frames prices or if you only need a few or even one, but quickly, take a chance on Frame Closeouts. We think you will be glad you did. Update: The Picture Frame Series That will be advancing to round 3 is…. The ultimate wood frame has been decided! 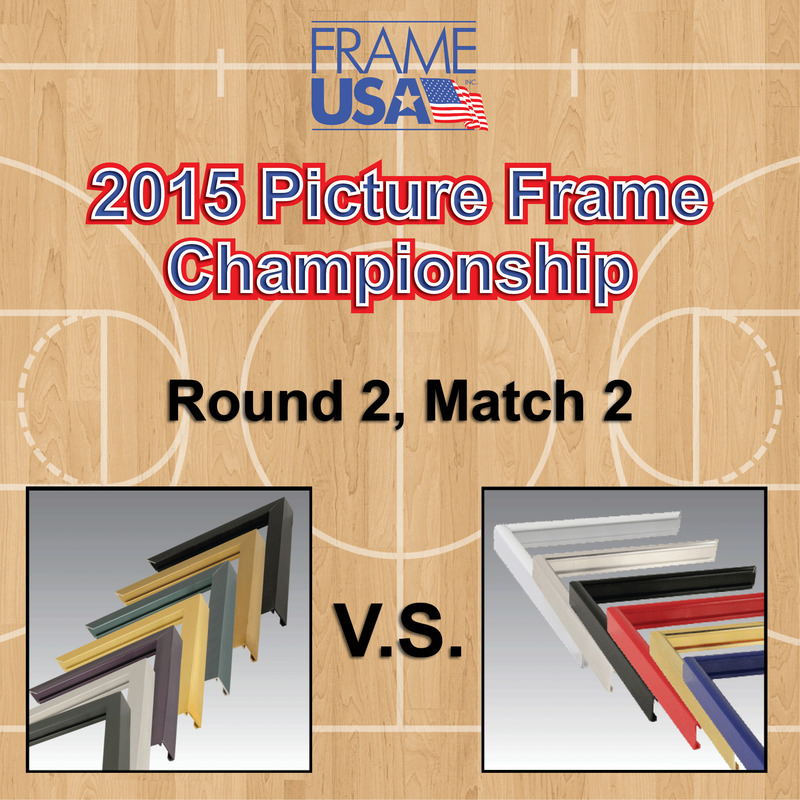 We move on to match 2 of Round 2 to decide the ultimate metal frame. Glory Metal faces Metal I in this exciting match. Who will move on to the final four and fight for the chance at becoming the ultimate picture frame. Fight for your favorite by casting your vote. 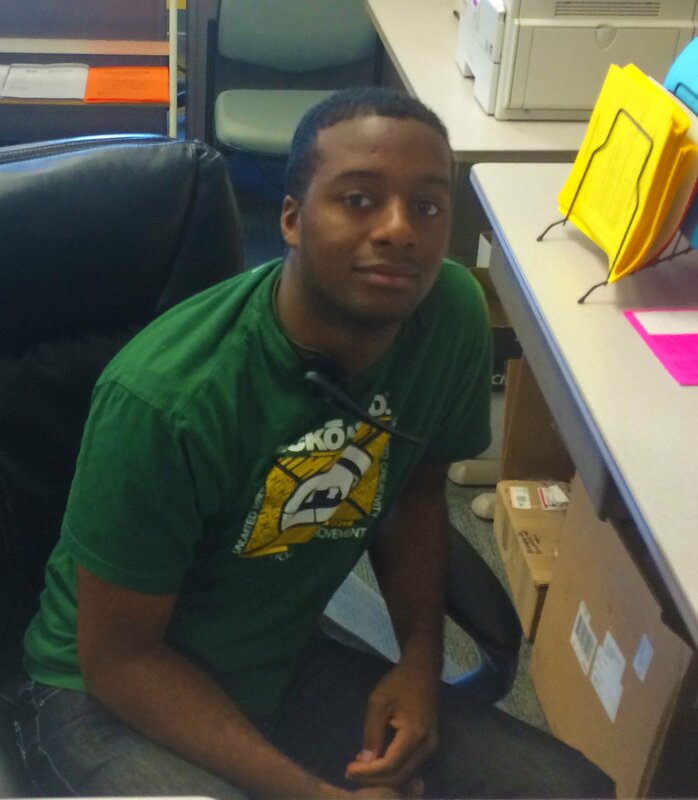 Match 2 of Round 2 will expire 3/28/15 at 3:45 PM EST. The ultimate winner of this championship will receive a BIG reward for being the best. Help your favorite frame advance and be victorious! Check back to see who will be the winner of this match!